This poor guy just can't unplug - even when he's on vacation. ...and he feels guilty if anyone discovers he's not behind his desk at the office. Since when is it a badge of honor to not have a life? "Work hard, play hard" may mean different things to different people, but to me it means work smart and efficiently to get your job done at work, and then enjoy your evenings and weekends and vacations. 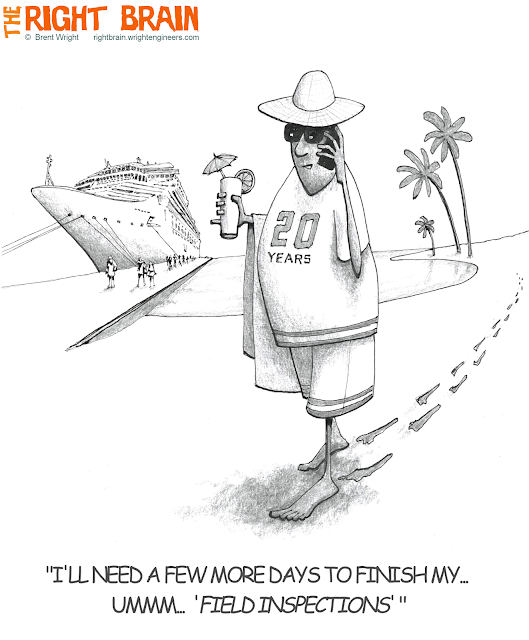 Inspiration for this one came from our recent company-wide 20th anniversary celebration cruise to Mexico. For a few more related cartoons, click here.